As your business grows and expands, your needs for storage will also change and sometimes at quicker rate than the space you have. Good thing our solution is oversized–just like your problem. 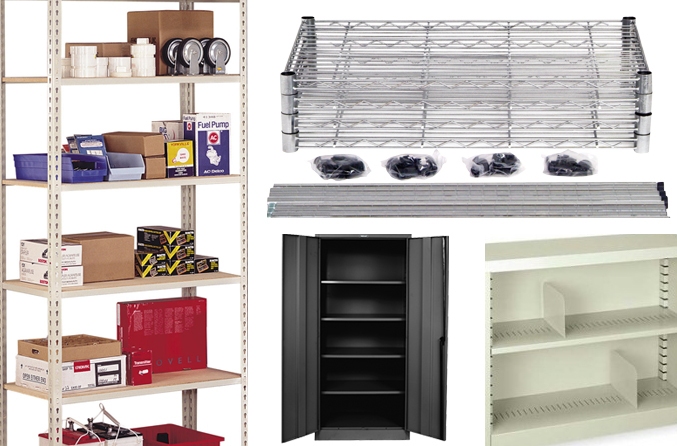 At BuyMetalShelving.com, our enormous inventory of metal shelving, racking and accessories will supply everything you need to accommodate expansion. Our products are constructed with heavy duty materials and built to support excessive weight and are designed for all types of rough environments. Keep your supplies and equipment neatly stored in our large selection of durable, color-coded storage bins so that when you need them fast, you will know right where to go. We also provide add-on components like wire decking, dividers, rollers and more to implement onto existing racking if additional storage space is needed. Our product support everything from personal garage storage to warehouses, libraries, grocery stores, offices, laboratories and more. Our large variety of sizes and styles as well as connection to distributors across the country ensures that if we don’t stock what you need, we will know exactly how to get it. If your needs are immediate, our selection of quick-ship items provide our most popular products that will be rushed to you in record timing. Customers will find our professional staff helpful in identifying current and future needs within your specific organization. Don’t waste another day stressing over lost tools, messy organization or flimsy storage—BuyMetalShelving.com will resolve all your shelving needs with quick, knowledgeable, superior service that is just as solid as our products.